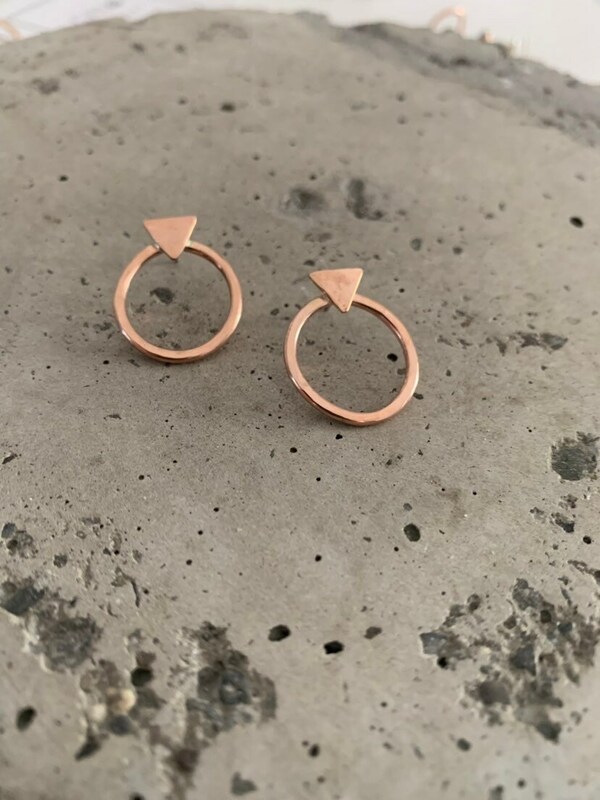 Take the classic hoop earring to the next level with modern geometric accents! 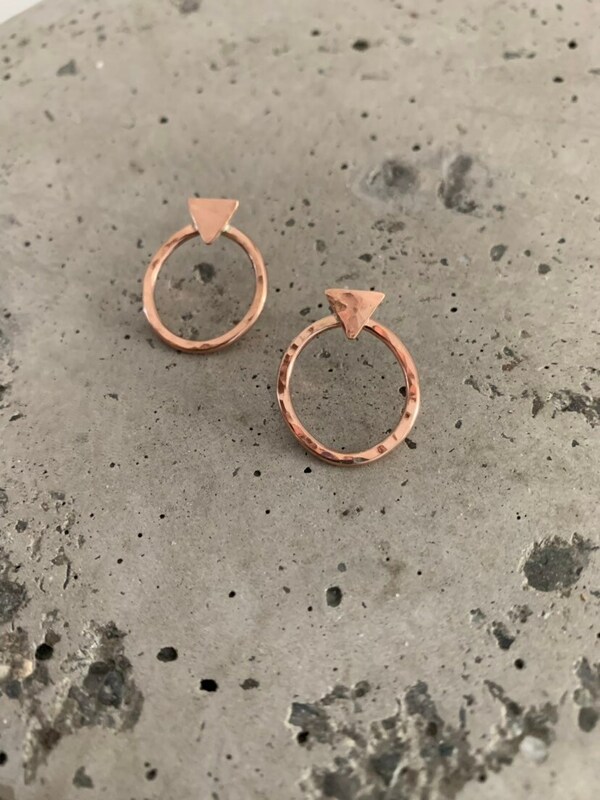 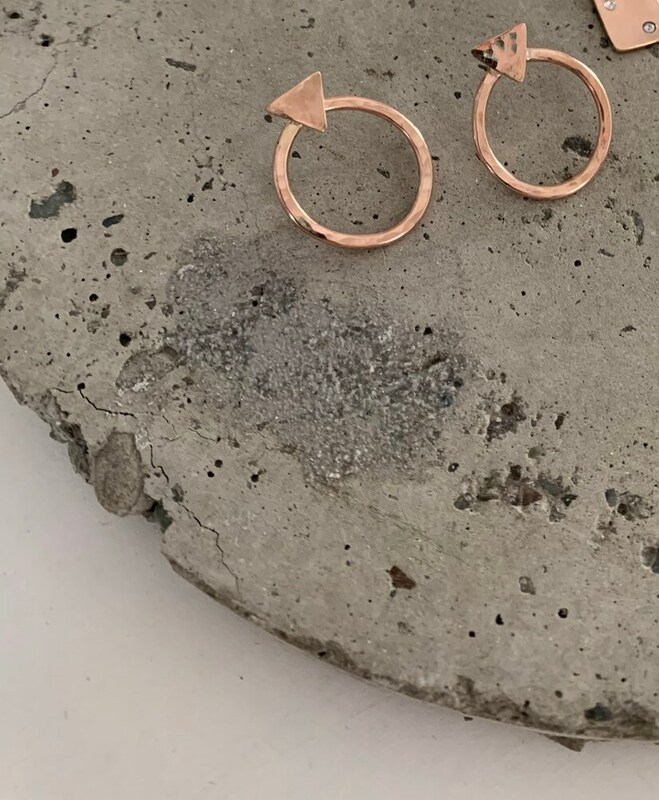 14k rose gold filled hammered texture circle hoops with triangle accent at the top featuring sterling silver posts and push backs. 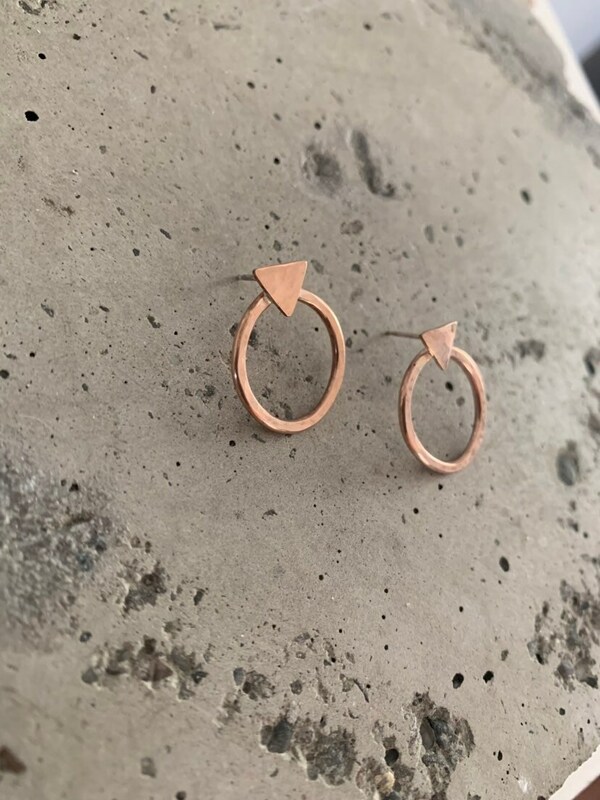 Hand forged and fabricated. 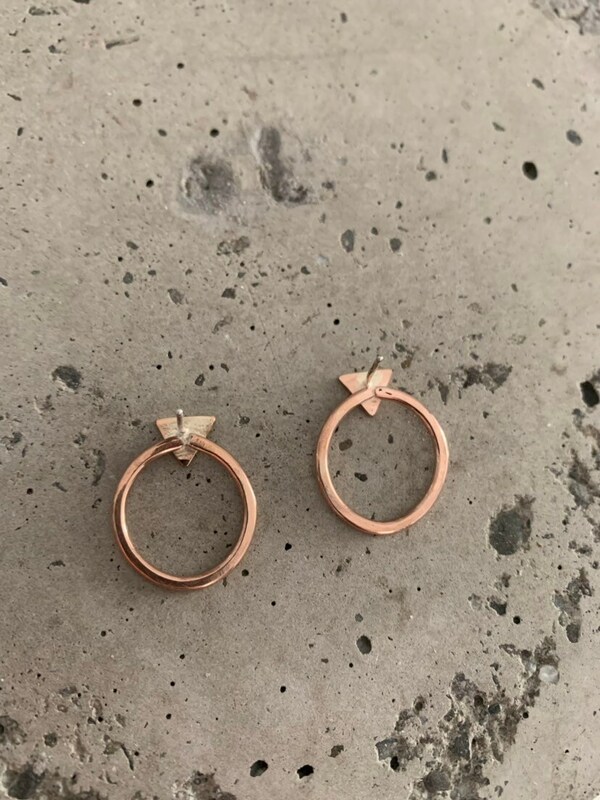 Measures roughly 21mm x 16mm. 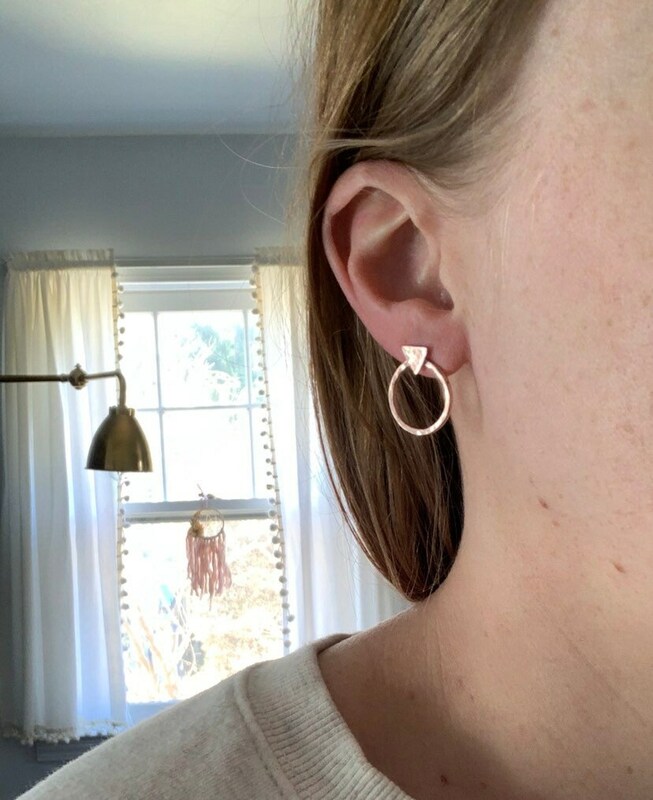 Check out more of my earrings here….